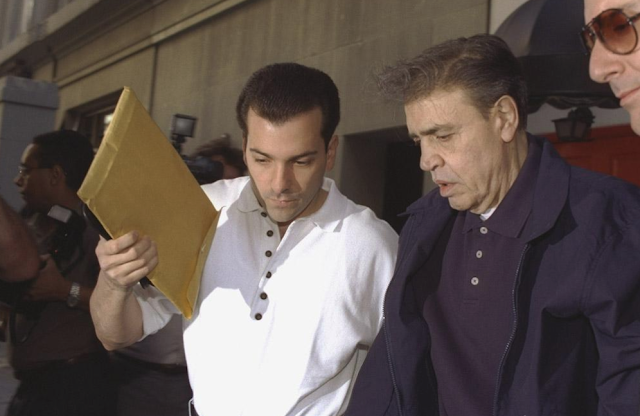 Five members and associates of the Genovese crime family were arrested last week, including a son of Vincent (Chin) Gigante, the legendary Mafia Don known for the crazy act. 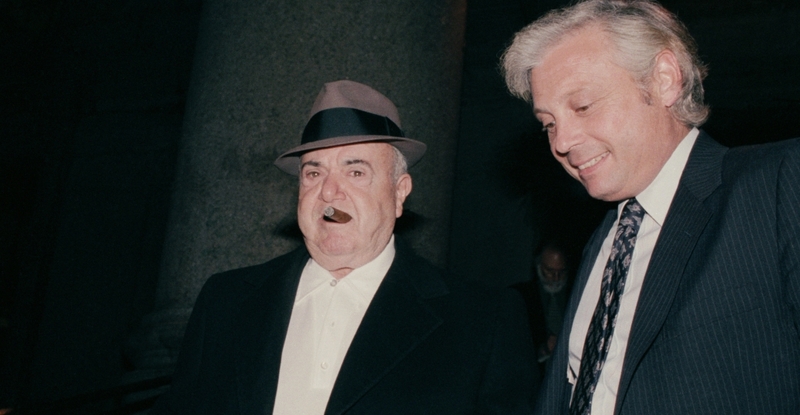 Gigante with son Vincent Esposito outside townhouse at 77th St. in 1997. The five were indicted for crimes related to a racketeering scheme that included extortion and other crimes from 2001 up until recently. Esposito--along with capo Steven (Mad Dog) Arena, 60; Frank Giovinco, 50; Frank Cognetta, 42; and Vincent D’Acunto, Jr.--"knowingly combined, conspired, confederated, and agreed together to violate the racketeering laws of the United States." Or so says the federal indictment filed in New York's Southern District Court. (Download indictment as a PDF here). The heart of the indictment charges that Esposito, Arena, and associate D'Acunto Jr. extorted a union official for more than 15 years. And there's a snitch: a cooperating witness who’s “very close with the defendant, who’s part of his family who will be expected to testify against him at trial." NOTE: It's Chin's nephew. Gang Land News today identified the informant as Vincent Fyfe, who wire a wire on "his uncle's mob pals." Also, he "supplied key evidence that prosecutors used to indict Gigante's youngest son, Vincent Esposito, on labor racketeering charges earlier this month." Esposito was the star, the indictment's marquee name. That said, what had sources buzzing recently were the items the Fed's found when they arrested Vincent at the Upper East Side townhouse: weapons, a million in cash, and a tantalizing list. We asked Gambino capo Mikie Scars, who we interviewed for this story, how much space a million in cash would take up. He said that, if the stash were comprised of only hundred-dollar bills, $10,000 would stack up at about an inch and a half. Vincent Gigante was such a force, he impacted American pop culture; the HBO series The Sopranos based a character on him. (John Gotti was mentioned by name on an episode in a scene set on a golf course when Tony Soprano shared a cryptic anecdote about an ice cream truck (see clip, below). As for the list, the New York Post reported that "the feds... found a real mafia no-no in his basement, what old-time wiseguys might have called an “infamnia” — an actual list of “made members of La Cosa Nostra, ” the prosecutor said. "The dumb-fella move harks back to the hand-written, two-page list of mobsters kept by fellow mob scion John “Junior” Gotti, who carefully recorded how much cash each one gave him at his lavish 1990 wedding. 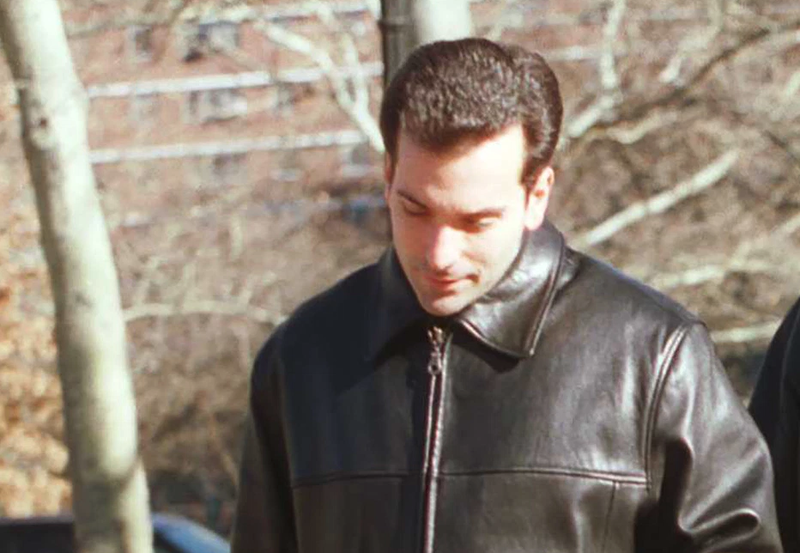 It never hurts to be prudent, even in Cosa Nostra, said former Gambino capo Michael DiLeonardo when asked to reflect on the items found in Esposito's townhouse. "You never leave large sums of money in your house. You never leave guns in your house." Today, the feds have equipment that automatically detects cash; it's not very difficult for them to find a stash of green. Michael was amazed that Vincent kept the guns, brass knuckles, and million in cash in his home, noting that in all his years on the street, he never kept anything like that in his own house. From early on in "the life," DiLeonardo made it known that he didn't keep anything in his house, which is why, he speculated, law enforcement never raided his house when they came to arrest him. They knew they'd find nothing because that was the word that went around. "I am stunned," he said of Esposito. "It doesn't make sense. Who is going to shoot him? There's no war going on. A lot of guys keep guns in their house. I don't know why." John Gotti also never kept anything in his house, Michael explained. John Gotti's 1990 arrest happened, DiLeonardo reminded me, at the Ravenite social club in lower Manhattan. Not his house. "Because the feds knew John kept nothing, absolutely nothing in his house." Fat Tony outside court in 1985. Unfortunately, the apple fell quite a distance from the tree when it came to "recordkeeping theory" as John A. (Junior) Gotti did keep money and weapons, not in his house, but in a building he owned. The Fed's had the warrant to search it though and found money and a derringer. One thing they didn't find: the machine gun hidden in the same building. Junior ordered Gambino mobsters to burgle the crime scene, which they did successfully. The weapon was safely snatched and hidden away. John Gotti Senior expressed befuddlement and amazement over what he seemed to deem Junior's bizarre proclivity. In the infamous prison tapes, he pontificated at length: "All I know is one thing. I don't think I'll ever find myself in a position where I'll put my wedding money, 380 thous ... whatever it is, in the basement near a broken safe, with a bunch of old jewelry." Some wiseguys, knowing that the odds mean they'll inevitably take a big fall one day, have been known to hedge their bets. 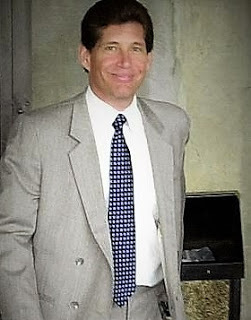 Anthony (Gaspipe) Casso, for example, went on the lam, taking the trouble to first prepare and bring "on the run" with him detailed construction business records, DiLeonardo recalled. This was a telltale sign that he had been contemplating flipping, Michael said. "You're going on the lam, you take your toothbrush. You don't take records of your construction business." In fact, Michael said the most valuable item he kept in his house in his street days was the jewelry he wore, a couple of pieces. Anything the Fed's find when they arrive with the warrant, they keep. Wiseguys who want their million in cash back need to hire an attorney to file records, a seemingly endless process. Detailed records of where the money came from is mandatory. As for the list, DiLeonardo said that "every family has a list of their own family and everyone else's." He said it's possible the feds got their hands on what could amount to a literal directory -- a phonebook of every made Mafia member in New York (and possibly beyond). "That would be really stupid if he had that list there," DiLeonardo said. A source connected to law enforcement told Cosa Nostra News. "I can see the government subpoenaing all those guys. They're going to target every person on that list." The list could contain all made members of the Genovese crime family throughout the country, the source said. Esposito, Arena, and D’Acunto Jr. were specifically accused of extorting annual payments from a union official between 2001 and 2015. The feds also have about six months ’ worth of wiretap evidence and a cooperating witness who’s “very close with the defendant, who’s part of his family who will be expected to testify against him at trial,” the Post wrote. The government’s secret recordings also reveal “numerous references to his high-level position” and “people doing his bidding,” the prosecutor said. machine guns far away from New York. The so-called Oddfather more than lived up to the nickname. To wit, the time law enforcement found him in the shower, fully clothed and holding an umbrella over his head. What do you say in such circumstances? There was nothing Gigante was afraid to do to further his dementia act. For years he was routinely spied traipsing around Sullivan Street in Lower Manhattan wearing a bathrobe, looking begrimed and vacant and helplessly clutching the arm of a "caregiver," usually son Steven Esposito, the unfortunate man of the moment. In 1990, Chin was arrested wearing the full costume: blue bathrobe, striped pajamas, golf cap. A famous photograph was snapped; it's on the cover of Larry McShane's book about the Genovese crime family boss, mentioned below. (Last we heard, the Chin's bathrobe was bound for the Museum of the American Gangster in Manhattan.) The 1990 arrest was preceded only by Gigante's much more infamous (and historically significant) 1957 arrest for firing the bullet that grazed then-Genovese boss Frank Costello's skull and sent him into retirement. He was deemed mentally unfit to stand trial following the 1990 arrest. The Fed's tried again and in 1997 hit paydirt: Gigante was convicted of racketeering and sentenced to 12 years. Then, facing new charges in 2003, he finally threw in the bathrobe and slippers, pleading guilty in Brooklyn court and admitting that he'd been conning law enforcement to avoid prosecution. Judge I. Leo Glasser sentenced him to an additional three years (not the 10 additional years he could've got). Chin was due out in 2010. "In 1981 the cigar-chomping Anthony Salerno was felled by a stroke. As he recuperated at New York University Hospital, a trio of top Genovese recuperated at New York University Hospital, a trio of top Genovese leaders arrived for a visit: Gigante, underboss Saverio “Sammy Black” Santora and consigliere-in-waiting (Bobby) Manna. Oddly enough, an ailing Lombardo was recovering in the same hospital at the time. A decision was reached at the bedside summit: The two older dons would step aside to let the Chin take command of the family. In Mob parlance, Salerno was “pulled down.” And Vito Genovese’s Greenwich Village protégé, nearly two decades after the old man’s death, would finally follow him into the family’s top spot. Gigante assigned Genovese soldier Vincent “Fish” Cafaro to serve as Salerno’s right-hand man in an effort to both ease the transition—and give the Chin eyes on the outgoing boss." 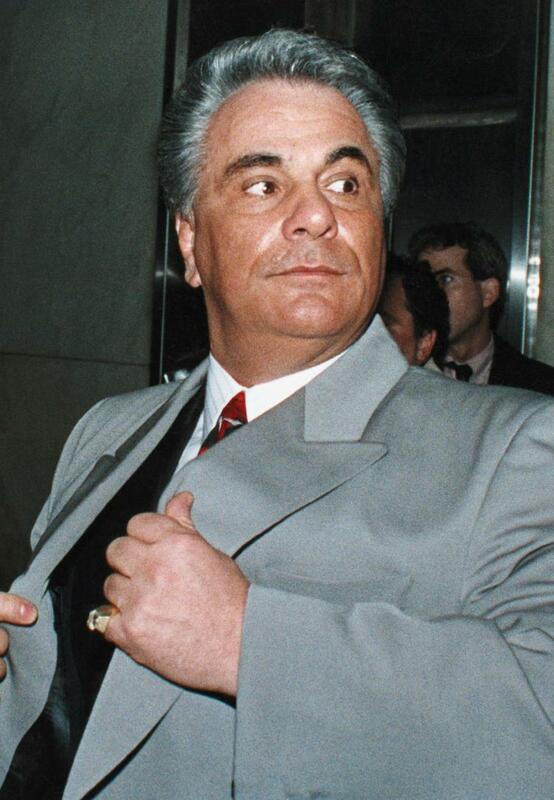 The Chin proved a worthy foil to John Gotti, constituting probably the only significant obstacle to Gotti's realization of his dream to become boss of bosses of the New York Mafia. Gigante was a sophisticated racketeer and multimillionaire. A denizen of mob protocol, Chin also was exceedingly lethal, ordering a spate of murders over perceived infractions. In one story, we noted how he once proclaimed, "We don't break our capos, we kill them." Esposito is one of three children Gigante fathered with his longtime mistress. Esposito was ordered held on $6 million bond, with release conditions including electronically monitored house arrest. The case was assigned to United States District Judge Victor Marrero.